Great list! 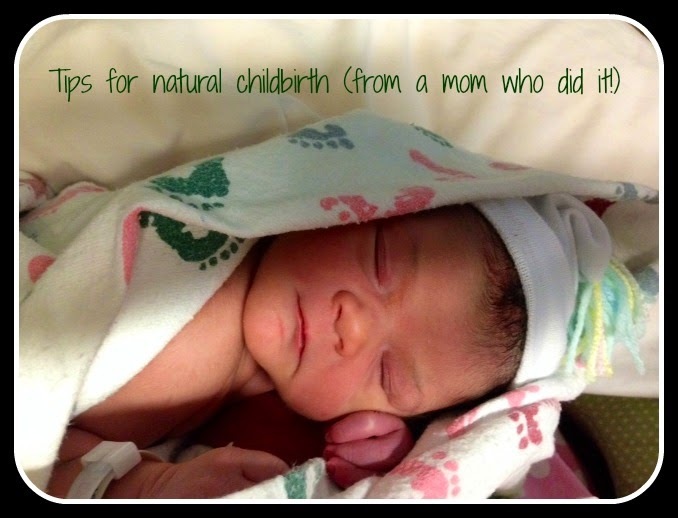 I would also recommend (if you're delivering in a hospital), when you arrive, ask for a natural-birth friendly nurse if possible. The nurses are in and out of the room far more than the OB, and there's nothing worse than a nurse with a bad attitude towards a med-free birth. One of my friends burst into tears when she was laboring at the hospital, because the nurse was so incredibly nasty to her, and she kept making snide comments like, "let me know when you're ready for that epidural. Unless, of course, you want to continue being a martyr." I was fortunate enough to never experience treatment like that, but it never hurts to be on the safe side. That is a good tip! How insensitive that nurse was! We were very lucky that our hospital asks right at the start if you are going natural and they tell you that they will not offer you drugs. They kept good to their word, but I was shocked when the midwife came in and told me, "there is no shame in getting some pain relief." I was polite, and nodded, and was happy when the shift change happened and a new midwife came on! Haha.